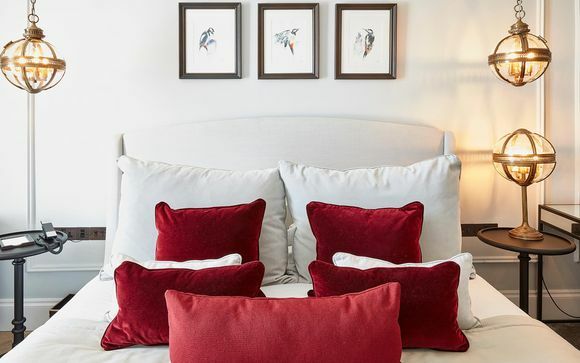 Michelin Starred Michael Caines MBE serves up his signature delicious seasonal food in this luxury property offering stunning views across Devon's mythically beautiful coastline in a grade II listed country house. Michael’s passion for wine is fundamental to the Lympstone Manor experience, with that in mind he is busy transforming part of the gardens into a vineyard...in the meantime, there's plenty of delicious local wines to tantalise your taste buds. The county of Devon offers freedom. 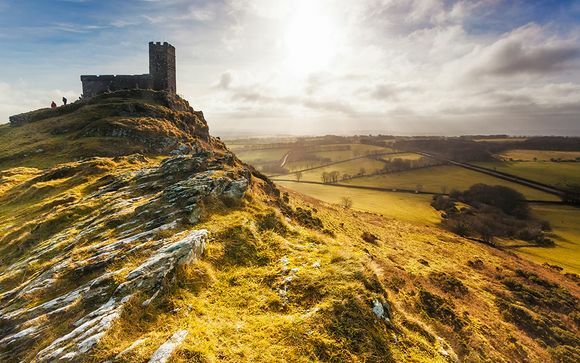 Its rippling, beach-fringed landscape is studded with historic homes, vibrant towns and wild moors...set out and explore this unique atmosphere! Within easy reach of Exeter, on the southern edge of Lympstone village overlooking the Exe estuary, Exmouth and the south Devon coast, and surrounded by unspoiled countryside and an abundance of wildlife, Lympstone Manor is a perfect rural escape. Escape to wilderness Dartmoor and the remote, surf-dashed north coast. Feast on food that's fresh from field, furrow or sea...this location is nothing short of spectacular! Gentle summer cycle rides don't come more scenic than the Exe Estuary Trail, 26 almost entirely traffic-free miles hugging the glittering Devon waterside throughout, with the unusual but irresistible option of a boat trip for bike and rider mid-route. Opportunities for nature watching, however, are what sets the trail apart. Lympstone Manor is a Grade II listed Georgian manor which has be creatively redesigned and luxuriously finished with hand-painted artwork by local artist Rachel Toll and leads onto a vast garden dotted with elegant sculptures. 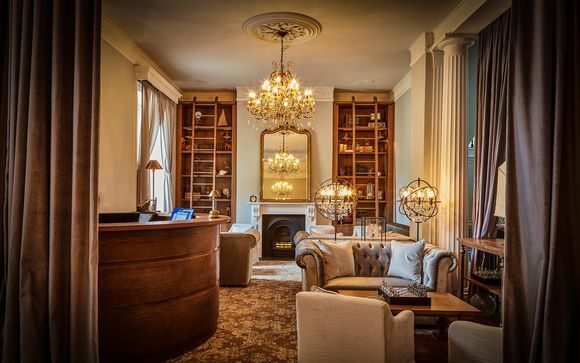 This new country house is the brain child of Michelin-starred BBC Great British Menu icon Michael Caines MBE who envisioned a modern take on the traditional country house. This hotel is the epitome of gourmet cuisine, outstanding panoramic views and elegant furnishings...all overlooking the Exe Estuary. 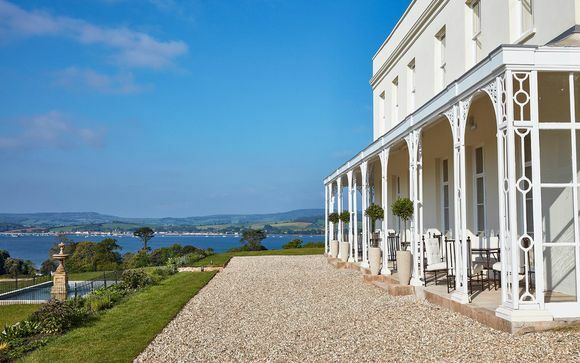 The 28 acres of garden, grounds and parkland at Lympstone Manor extend from the Georgian manor house down to the foreshore of the Exe estuary, surrounded by the green hills of Devon. Our members will stay in a Master Estuary Suite. Beds are handmade by Devon craftsmen, brushed with gold and cut with the shapes of shells and waves. Michael’s attention to detail is ever-present: silver trays with complimentary Williams gin and Fever Tree tonic (“sherry’s old-fashioned”). These rooms offer sumptuous luxurious living quarters, indoors as well as out. These rooms come in 2 types: balcony suites on the 1st floor or ground floor suites with private terraces, outdoor fire pits, and relaxing tub. Enjoy views over the beautiful estuary. This offer is based on a choice between a Breakfast basis or Half Board basis (breakfast & dinner for your evening meal in the main restaurant - excludes drinks. Just for you: Kitchen tour included. Dining at the hotel is an exceptional experience: carefully crafted food is served up in the sophisticated restaurant with the beautiful Exe Estuary as your backdrop. Michael Caines MBE, chef/patron and one of Britain’s most celebrated and influential chefs, is able to fully express his vision of modern British cuisine that is fresh, seasonal, original, and exciting, complimented by a world-class cellar. Michael Caines has long championed the fruits of Southwest England and now, after gaining and retaining two Michelin stars for 18 years, he has the chance to combined his formidable talents with an exciting range of products with his trademark creativity. "It is a fantastic property full of charm and luxury and we look forward to welcome you, and I have created some new and old dishes for you to enjoy. Please note that children need to be over the age of 5 to dine in the hotel's restaurant. The closest train station is Lympstone Village Station . Exeter St David’s Station offers a direct lines to London Paddington and other major national stations.